It’s easy to buy something for your friend, lover, or family member, but how often do they receive homemade gifts? In this two-part blog series, our custom patches company shares some of our favorite no-sew gifts that are easy to make and are perfect for birthdays, anniversaries, holidays, and more. 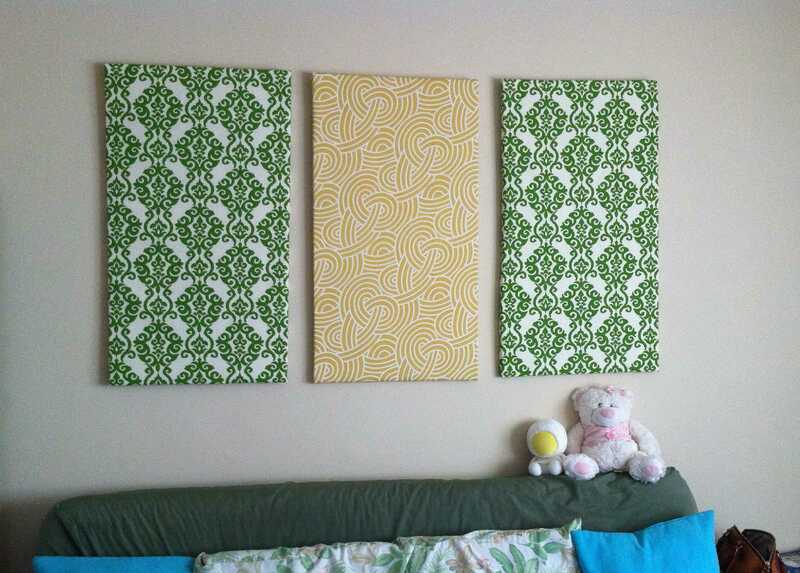 Fabric wall panels are a great way to add color or pattern to any room. Simply cut pieces of foam core to the sizes and shapes you want. After that, turn your fabric upside down and place your core on top. Cut the fabric so you have 1 1/2″ extra on all sides, then fold the fabric over the core and secure using hot glue or fabric tape. Make sure you fold the corners over neatly before you secure them on the back. Make a classy tablet case from faux leather material and suede cord. Measure the tablet that the case will hold and add 4.5″ to the height and 2″ to the width. Cut your faux fabric to these measurements and lay it flat, right side down. Measure 3.5″ from the top and make a mark. In the style of an envelope, fold the bottom of the fabric up and line up the sides. Measure about 1/2″ in and punch holes every 1/2″ (through both layers of fabric) using a hole punch. String your suede cord through the holes to fasten the sides together, then attach magnets or snaps to the flap to create a closure. Create a rustic look with some leather fabric, hair ties, and some ribbon. Cut a strip of leather that’s 15″ long and 1/2″ wide (trim both ends so they come to a point). Then, place the leather on top of a hair tie and secure in the middle with a piece of ribbon or a twist tie. After your friend or family member secures their hair with the tie, they’ll be able to tie the leather around it to hide it. If your friend or family member has a beloved furry friend, why not make them a cozy pet bed? Determine how large you’ll want the bed, then gather up some fleece fabric. Cut two ovals from the fleece (add about 6″-8″ to the size). Cut 4″-6″ strips around the outside of each oval to create your base for fringe. Tie a top piece of fringe to its bottom counterpart using a knot and repeat all the way around the bed, leaving a space open for stuffing. Stuff the “bed” with cotton or polyester filling, then tie together your last few fringes to complete. This type of homemade wreath is easy and affordable to make! All you need is a large painter’s drop cloth, a foam wreath, and hot glue. First, tear your cloth into wide strips and wrap them around the wreath to cover the foam. Next, run a long stripe of glue down one part of your wreath, pinch together a large section of cloth, and secure it to the glue. Continue pinching and gluing until your wreath is completely covered. For an easy personalized gift, grab a large wood letter and your favorite patterned fabric. Lay the fabric on the table upside down, place your letter on top, and trace the letter using a pen. Next, cut your fabric around the tracing. Use a foam brush to spread a layer of Mod Podge onto the front of your wood letter, then carefully place the fabric outline on top. Add another layer of Mod Podge to the top to prevent fraying and let dry. Mini drawstring bags are easy to make and can be used for so many things! Grab a piece of fabric that’s double the length you want your bag to be and fold it in half with the wrong side of the fabric facing out. Place a long piece of leather or twine at the top of the cut piece and fold the top over it. Secure the top with fabric tape or hot glue, then turn the bag over and repeat on the other side (wrapping the drawstring around). Secure the sides of the bag with fabric tape or hot glue, then turn inside out – voila! This entry was posted in DIY and tagged anniversary, birthday, crafts, DIY, fabric, gifts, holiday.